Success is something that every single person longs to achieve throughout their lives. Whether we are talking about success in career, in love, in friendships or other aspects of life, knowing that you have achieved what you wanted is a great feeling. However, what if you didn’t have all the time in the world to work towards the goals that you have set for yourself? What if you only had one day left to live? What would you spend your time doing? The most successful people in this world know how to objectively evaluate themselves on a constant basis, and come up with the answer to the aforementioned asked question. They can easily take into consideration what their skills are, as well as what steps they need to take in order to progress towards their goals in a timely manner. If you would like to become someone who can easily evaluate your status and objectives in order to achieve the goals you have set for yourself, it’s not as difficult as you might imagine. With a little bit of practice, you can get more out of your life than you ever imagined was possible. 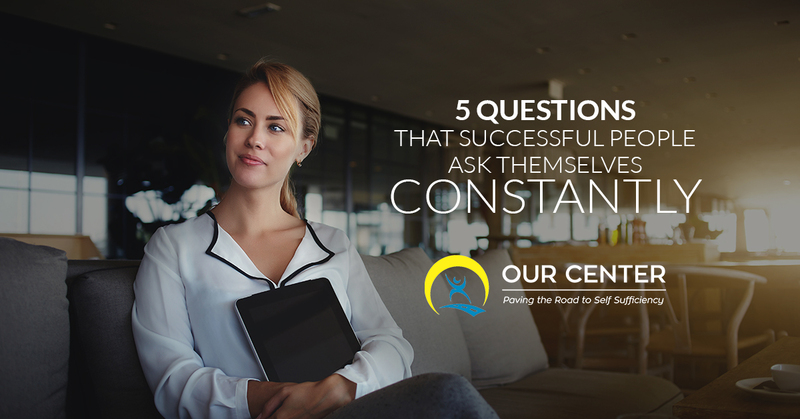 Continue reading below to uncover the five questions that the most successful people in this world ask themselves on a regular basis. If you are not passionate about the job you are doing, there is no chance of you being successful at all. Overcoming natural barriers that occur on the job is impossible if you do not have the motivation to do so. This is why you should be asking yourself quite frequently whether or not you are still passionate about what you are doing. If the answer is no, or you are just beginning to feel burnt out, it may be time to pursue something new that excites you. Most of the paths that lead to great success are riddled with a number of failures. The difference between a successful person and one who is not, however, is the ability to quickly learn from their mistakes. So long as you don’t make the same mistake twice, or more than twice, you can be sure you are moving towards a successful future. Are you consistently pushing your boundaries? The most successful people out there are risk-takers. They are innovative, curious, and bold. If you are doing the same thing day in and day out, the chances of you excelling are not very good. Creating new goals that may seem unreachable at first is an important step. If you only expect to accomplish things you know you can do, well then are you really even challenging yourself? Push your boundaries every chance you get and see where it takes you. What is your future game plan? Since you are now challenging yourself, you’re going to need to make a plan to make your dreams into a reality. For example, if one of your goals is to increase your productivity, you’re going to need to figure out new routines and processes that can help you achieve what you have set forth to do. Sit down, create a physical map of what you want to do and where you want to go. By setting a timeline for yourself, you can gauge when you are not working hard enough to accomplish the things you are working towards. Do you still believe you can do this? Regardless of any plans you have made, there is one thing that you cannot plan out and that is having faith in yourself. If you don’t believe you can accomplish the things that you are working towards, plain and simple, you won’t accomplish them. Having the skills you need to be good at your job is only half of the battle. The other half is having faith in yourself to achieve the success you know you are capable of. If you are ready to start succeeding in your career, or perhaps begin the process of starting a new career, we can help you at OUR Center in Longmont. Contact us today and learn more about what we can do for you. We cannot wait to assist you in gaining the most success possible in this life.